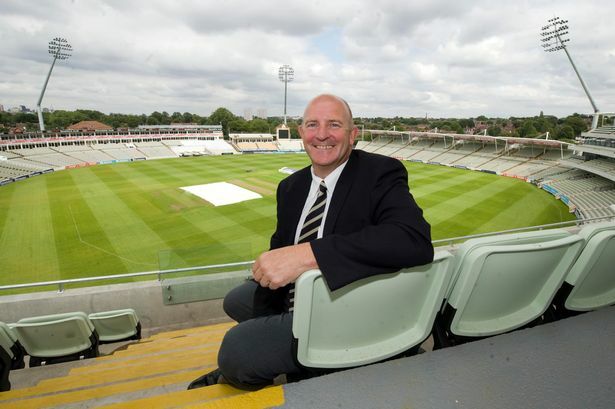 Warwickshire CCC&apos;s chief executive will retire at the end of the year – bringing an end to a tenure which has seen fundamental change at the club. Colin Povey has announced he will stand down in December – going out on a high after an Ashes Test this month. The past decade has seen success on the pitch and major change off it, with county championship and T20 victories alongside a £32 million redevelopment of Edgbaston Stadium. He will retire from full-time executive responsibilities at the end of the year in order to pursue a wider non-executive director’s portfolio. Norman Gascoigne, chairman of Warwickshire County Cricket Club, said it would shortly begin the search for his successor. He said: "Colin&apos;s retirement will complete a tenure of almost ten years at Edgbaston - a decade that has seen significant successful cultural and structural change for the club. "Our new £32 million development is a benchmark for other venue operators to follow and we now have a business model that provides a foundation for a very exciting future. "Colin&apos;s leadership of these changes has been exceptional and I would like to record now my personal thanks to him. It has been a pleasure to have a close working relationship with him during my time as club chairman." The £32 million redevelopment of Edgbaston means Mr Povey will leave a very different business than he joined. He recently told the Post the company was on course for healthy profits this year amid the major Ashes Test with Australia. However, his tenure has also had controversial moments – a decision to rename the T20 side Birmingham Bears was not universally popular. But the club is on solid footing on the pitch at present. It won the County Championship in 2012 and the NatWest T20 Blast last year.